Charging orders give a creditor the right to attach distributions (dividends) paid by a partnership or LLC. The order does not give the creditor any right to affect the management of the business entity. The first charging order protection was developed in England, in the late 1800’s. This law was developed to prevent a creditor of one of the business partners in a partnership from having the ability to seize the partnership assets to satisfy his claim. This would not only bankrupt the business, but be unfair to the other partners. From England charging order protection found its way into United States law. The charging order was initially applied only to general partnerships, where every partner was involved in carrying on the business of the partnership. It was never applied to corporations, because of their centralized management structure. Over the years, charging order protection was also extended to limited partnerships. When the limited liability company (LLC) was designed in Wyoming, it was designed with charging order protection. This meant it is the only business entity with double asset protection. It has the protection of the corporate shield plus the charging order aspects of a partnership. The corporate shield protects the members of the LLC from the creditors that are coming against the LLC directly. The charging order protection protects the LLC itself from the creditors of the members. Charging orders not only protects an innocent partner, in a partnership, from losing his share of the business to his partner’s creditors, it allows the creditor to collect on his judgment. Charging order protection is one of the best asset protection tools available. Charging order protection is simply not available to a corporation. Charging order protection is like a double liability protection shield, because LLC owners are protected from business liabilities and the LLC is protected from the members’ liabilities. The combination of the corporate shield and the charging order protection is unique to an LLC. However, the LLC does not automatically qualify for all of its potential asset protection possibilities. To qualify, the LLC must be properly structured and documented. 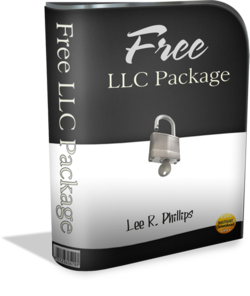 When it is done right and managed properly, the LLC is the best business entity for most business situations. Originally it did not matter how an LLC was structured, it could be either a single or multi member LLC and still qualify for charging order protection. Many business owners favored a single member LLC, so they wouldn’t have to give away some of their LLC ownership. Unfortunately, the single member LLC and charging order protection has come under attack in a couple of states. The negative spin on a single member LLC and the charging order protection primarily comes from two law cases. One in Florida, Olmstead vs. Federal Trade Commission, held that creditors of the single member in a single member LLC could go directly against the LLC and take the assets of the LLC. This holding immediately meant that every single member LLC in Florida no longer qualified for charging order protection. The corporate shield protection was not affected by the ruling. An earlier case, the Albright case in Colorado, a similar outcome resulted from a bankruptcy. The bankruptcy court let Albright’s creditors go directly against Albright’s LLC to satisfy their judgment. The charging order was simply set aside, because Albright was the only member. Courts letting creditors go against company assets isn’t anything new for corporations. If the single shareholder of a closely held corporation gets in trouble, his creditors can always take his stock in the corporation. Once the creditor gets a controlling interest in the corporation’s stock, the creditor will simply elect new officers and directors and control the corporation – along with all of its assets. However, setting aside the charging order protection of a single member LLC is a new trend for the LLC. In the two court cases mentioned above, the judge went against the charging order concept because the LLC involved only a single member. So now in Florida and Colorado (and other states that have followed suit with cases that successfully cited these cases), it is necessary to have more than one member in an LLC if you want to be assured of getting the charging order protection. Currently you also need to have a multiple members LLC in Utah to get charging order protection. This is because Utah has passed legislation that prevents a single member LLC from getting charging order protection. This may seem silly or unfair, but the point is that this is the way the law is moving. Your state may not currently have any issue with charging orders and single member LLCs, but removing charging order protection for single member LLCs looks like it is the wave of the future. You would be wise to take heed. 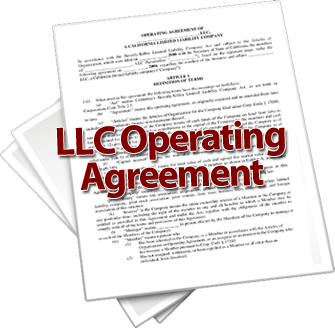 If you are serious about the protection your LLC gives you, check out your operating agreement and make certain it has language in it that “beefs up” your charging order protection. If you don’t have an operating agreement, you should get one, because your LLC won’t give you any protection (corporate shield or charging order) without an operating agreement. A good agreement should be about twenty to thirty pages long and should define how you operate your company. If you only have a five or ten page operating agreement, you simply haven’t addressed the issues you need to address in order to get good asset protection out of your LLC. I have a free agreement available HERE. It is also a good idea to get the two hour audio tutorial I have prepared to go along with the advanced version of the free operating agreement. Now is the time to protect yourself. You won’t find this information and a tutorial like this anywhere else. There’s no risk. Just start NOW!